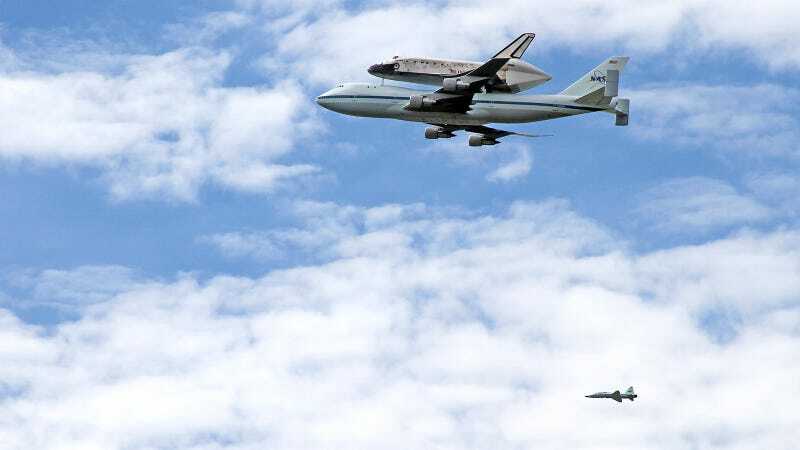 The Space Shuttle Discovery just made its last flight ever atop a 747, where it'll be laid to rest at the Smithsonian for the public to appreciate. We won't see something like this again for a long, long time. Not bad for a little taxpayer bread and circus action, right? Photographer (and my pal) Nicko Margolies snapped this view from the WWII Memorial on the National Mall, where he says onlookers gawked and clapped politely (as they tend to in DC) as the plane circled overhead. CNN confirms the duo has safely arrived at Virginia's Dulles Airport, concluding the most exciting 15 minutes in Washingtonian history. Did you catch your own view of the Shuttle fly-by today? Post below!